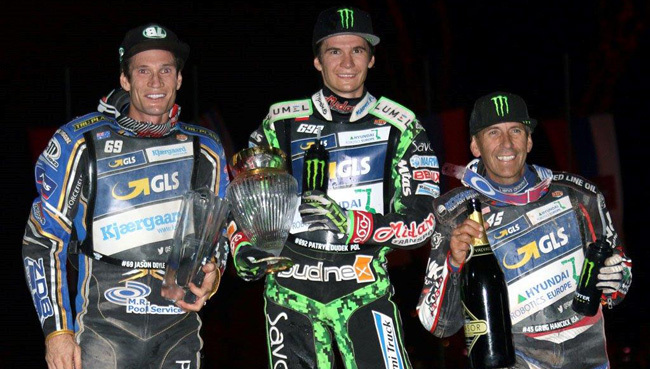 Jason Doyle bolstered his chances of gaining automatic entry into the 2019 Grand Prix series after finishing as the highest scorer in Krsko, Slovenia on Saturday night. His 17 points moved him to eighth place in the standings, albeit level with Russian Emil Sajfutdinov, but ahead in ranking terms. Besides that best score of the season, Doyle also collected the silver medal, having been beaten by Patryk Dudek in the final, both finishing ahead of Greg Hancock (3rd) and Freddie Lindgren (4th). At the head of the championship race, leader Tai Woffinden had his advantage cut to just 9 points over Bartosz Zmarzlik, the champion-elect falling victim to a much-debated disqualification for allegedly "delaying the start" in heat 16. That decision left him short of being able to make the semi-finals for the first time in this series, but his nearest rival Bartosz Zmarzlik missed the opportunity to fully capitalise after he ran a third place in the second-final. With two rounds remaining - Teterow, Germany and Torun, Poland - the series is hotting up as both Lindgren and Maciej Janowski share 89 points and are presently joint third whilst Dudek sits just five behind them.